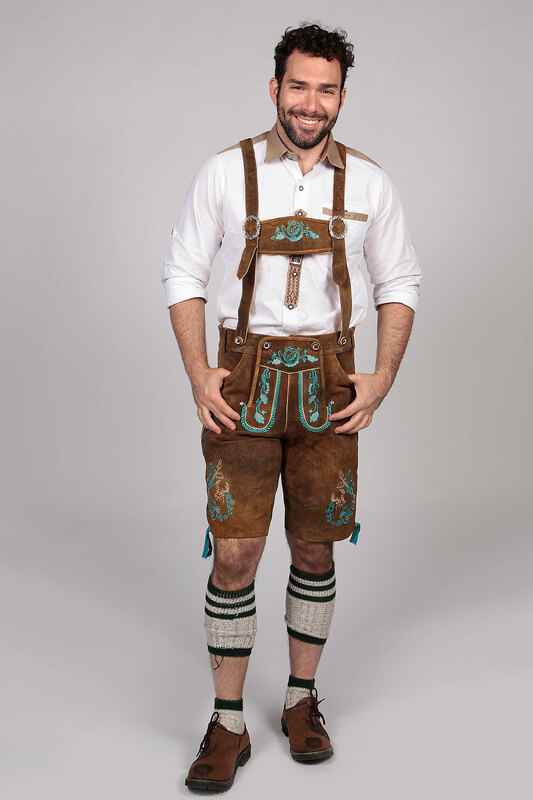 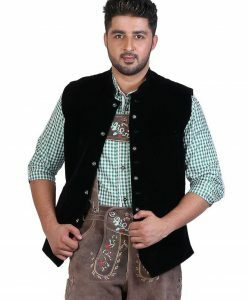 These traditional German Lederhosen shorts in Rose Brown are made from 100% suede leather. 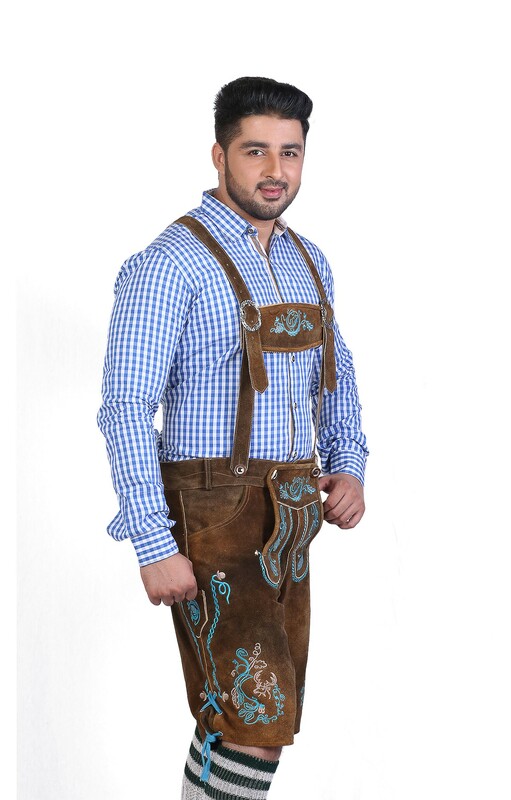 They represent a sense of rugged and tough look of German men. 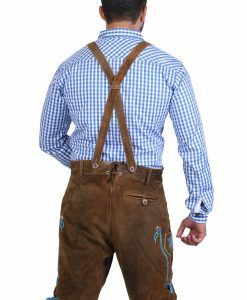 The Rose Brown color is enhanced with traditional embroidery in light blue on suspender flaps, side of the legs, and at front. 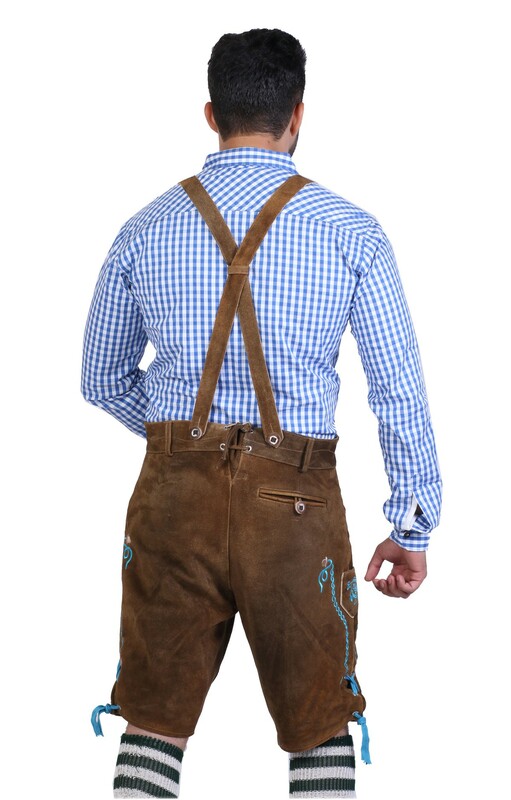 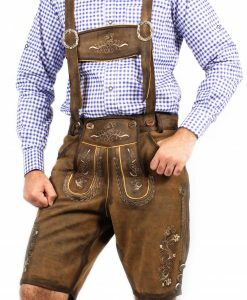 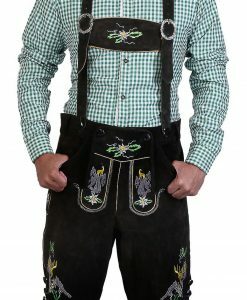 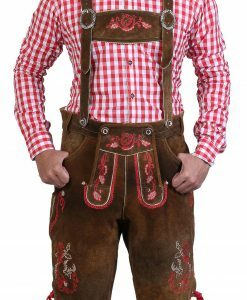 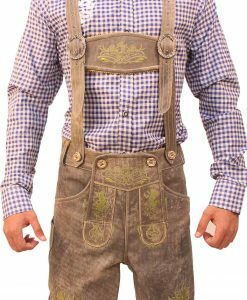 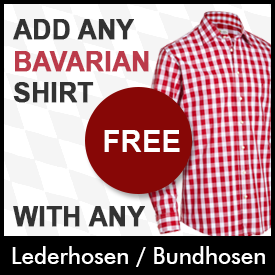 The deer optic buttons decorate the Bavarian lederhosen with a modern mix. 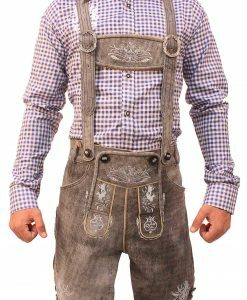 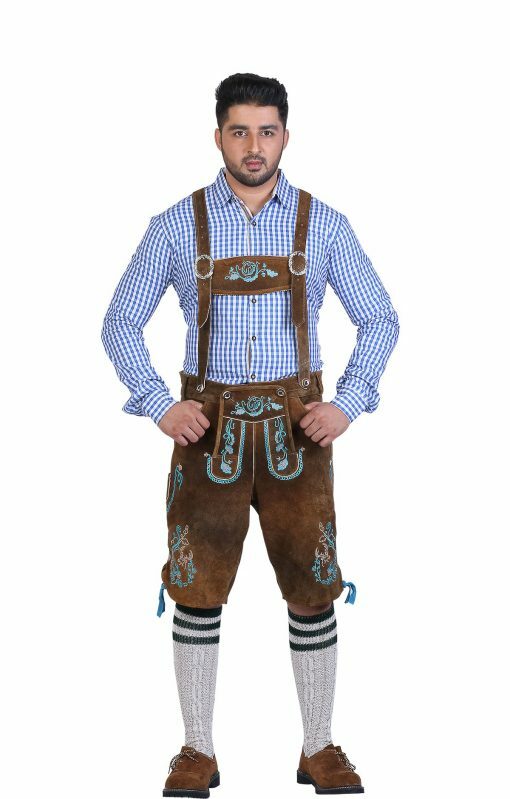 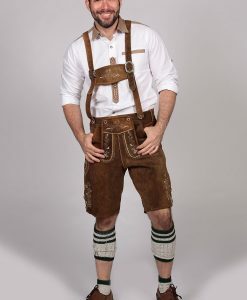 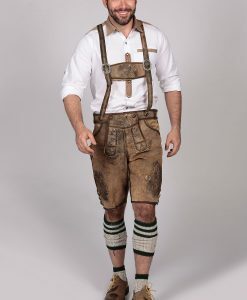 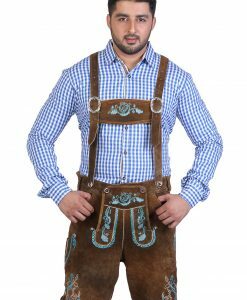 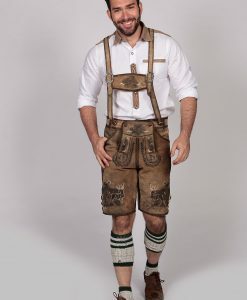 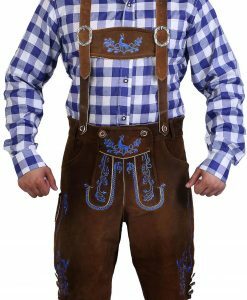 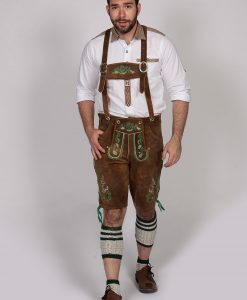 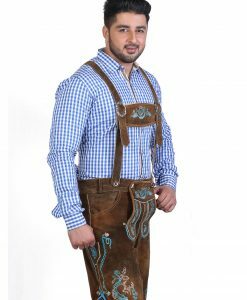 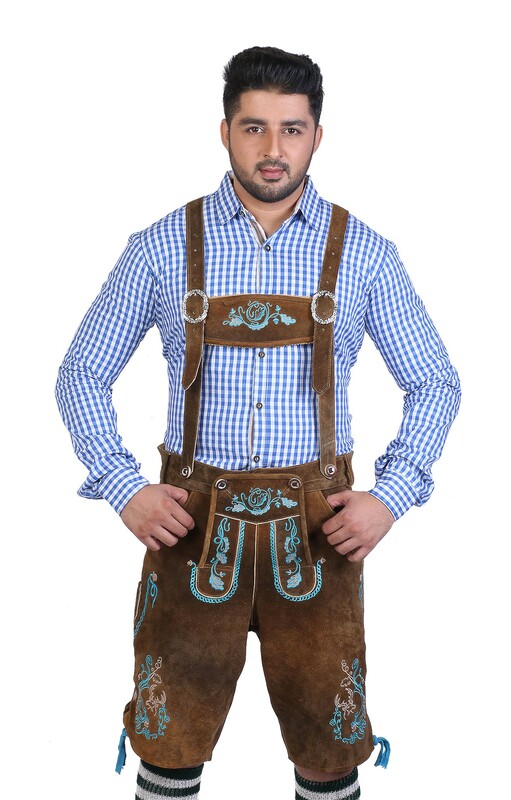 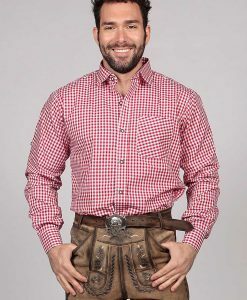 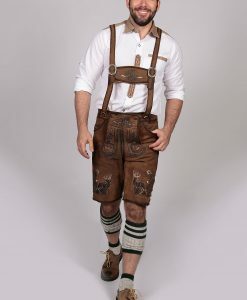 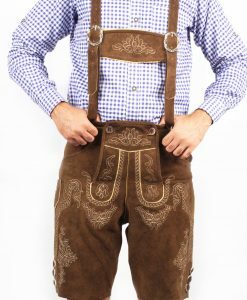 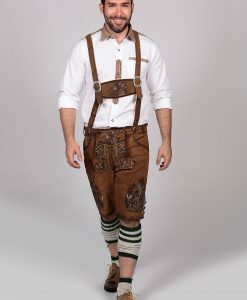 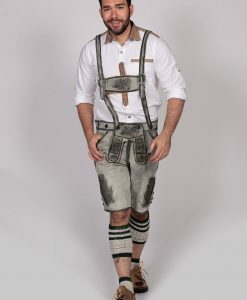 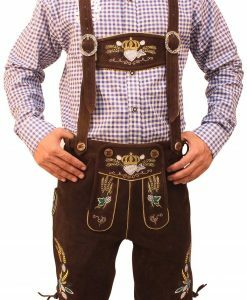 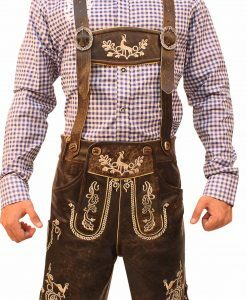 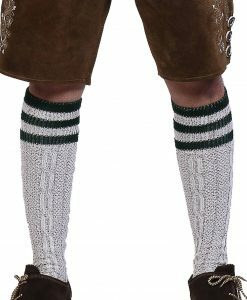 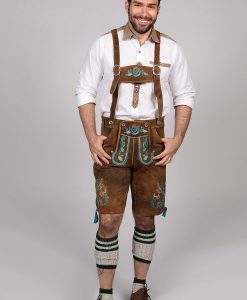 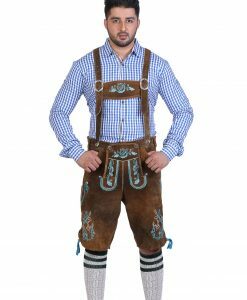 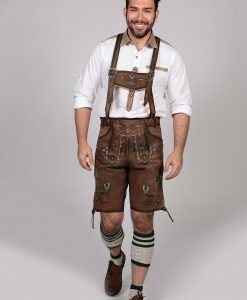 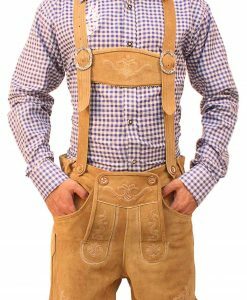 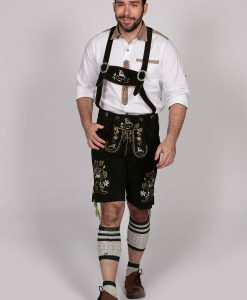 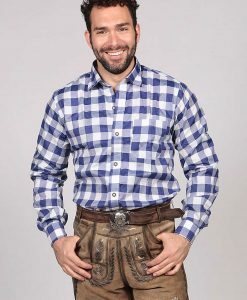 While these mens lederhosen shorts are ideal for Oktoberfest outfit, you can even pair them up with a classic checkered shirt and keep it handy for other special occasions to look your best!